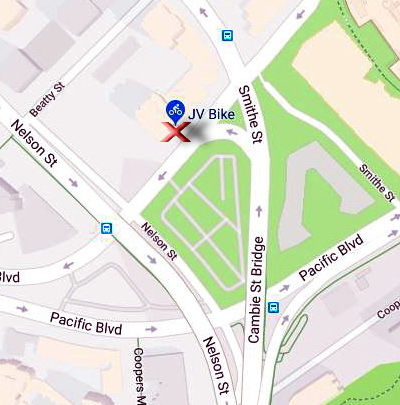 JV Bike is an independent bicycle store located in the heart of downtown Vancouver. We service needs of the Urban cyclist offering an excellent range of bicycles from road, cross, touring, commuter, urban cruiser to folding, and electric. Our offerings of cycling accessories and parts are the best among any bicycle shop in Vancouver.